Update 10/4/2016: I’ve used this shampoo twice now and like it just fine. This would be good in summer, or when you need slightly more cleansing, but you still want something more gentle. Update 9/24/2016: I just shampooed with the Smooth as Silk Deep Moisture Shampoo. It had a nice citrus scent and cleaned without being too harsh. 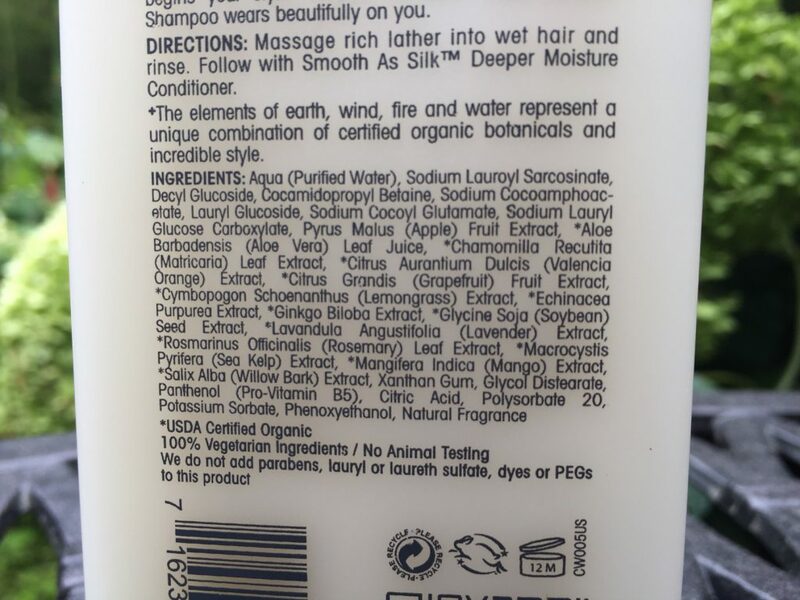 I get nervous when products have a lot of citrus ingredients in ones I leave in, like combing conditioners. But for shampoos it should be okay so long as it’s rinsed out well and followed with a conditioner that definitely has no citrus ingredients. On an impulse during a quick dash to the grocery store for other items, I grabbed this. 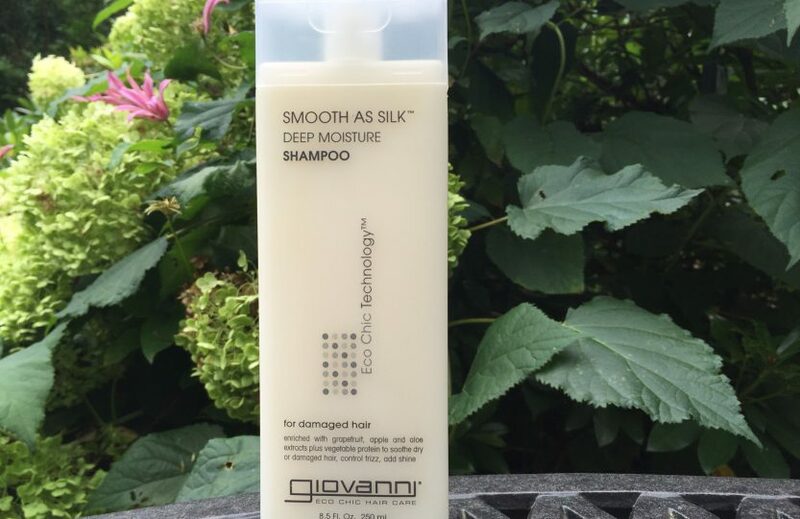 I needed another shampoo and thought Giovanni Smooth as Silk Deep Moisture Shampoo might be a good one to try since l liked the other Giovanni shampoo my husband uses. Once home I looked over the ingredients and at first was made because I saw guar gum, and as you may know, I’m hyper paranoid about anything that sounds sticky. But then I looked it up and saw it’s generally used as a super safe thickener and to keep ingredients mixed, not as a holding substance. So if I can check out the rest of the ingredients in the next few days, I’ll most likely try it this Saturday when I do may hair.